Drug addiction, where does it all start? How many of us have a family member or friend that has suffered from addiction? This social tragedy tears families apart and causes children to grow up way too fast. Addiction teaches us about the fragile human condition. How do drugs get into the hands of young people? Why are they so common on our streets and in our neighborhoods? The legal market is flooded with pain killers and feel good drugs so why should we expect that there will not be an illegal market as well? There are the people who just wanna try it because everyone else is doing it, peer pressure, stress just so many reasons why. Those defined as clubbers tend to take for example ecstasy than smoke a cigarette. The headline findings from what is one of the largest ever surveys of drugs use raised alarm among health experts. They pointed out that they think that young people take and consume another drug entirely. What types of drugs are young people using? Many young people will say it is just marijuana, but if its out there people will try it and reports are indicating that in addition to the pain pill crisis there are those who are starting to do cocaine again as well. Xanax is very popular because it’s easy access and it makes you feel “good” and not really care. The Opioid mix that is out there looks like a concrete mix and is a highly potent combination of heroin, fentanyl, carfentanil, and U 47700 ( synthetic opioid). They call this the “gray death” which now people are starting to use. What are Opioids? Why is Opioid addiction a national crisis? Opioids are a class of drugs that include the illegal drug heroin, synthetic opioids such as fentanyl, and pain relievers available legally by prescription, such as oxycodone (OxyContin), hydrocodone (Vicodin), codeine, morphine, and many others. These drugs are chemically related and interact with Opioid receptors on nerve cells in the body and brain. It is a national crisis because it is so easy to get addicted. Once someone is addicted to that particular drug there is no way to stop. Addiction creates another character for that person and it is not a good one. How can a family member or friend get help if they suspect drug addiction? You can always call an addiction line for them or send them to rehab, but from my experiences that doesn’t always help. To this day with many treatments, help my brother is still an addict. It doesn’t just go away. Although after a habit of substance has been determined of a loved one, many wonder what is the next step. The whole family needs treatment, not just the one person because once a loved one goes into this dark side of life so does the family. These meetings focus on illuminating the overall toll that addiction has taken on families. The addict may come forward with anger and frustration but the support of family will make it easier for the patient to agree to rehab. What are the costs of drug addiction and what resources are available to help? The cost of drug addiction would be death, losing the people you love, jail time and so many more. There are many resources to help before it gets serious such as treatments, rehab, counseling. illicit drugs is costly to our Nation, exacting more than $740 billion annually in costs related to crime, lost work productivity and health care. Even though there are legal consequences police are trained to help save lives in the face of this crisis and the justice system is slowly realizing that it is more of a health crisis than a criminal crisis. Some of the legal consequences would be loss of drivers license, revoked professional license, especially in public safety, medical and transit fields and criminal record detailing arrest, jail time and history drug abuse. 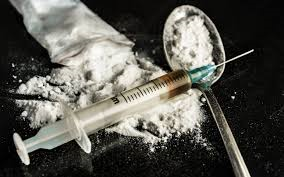 In some jurisdictions you can still be charged up to 25 years in prison for drug abuse and if felony charges are made against you, then you may lose your ability to vote, be prohibited from living in certain communities and may have difficulties finding certain jobs. Drugs are getting abused more and more every day. The fact that they are so easy to get your hands on nowadays plays a big part but also peer pressure. Your friends or siblings or whoever can play a big part also, As crazy as it sounds they can lead you towards drugs and it might start off small and not as frequent but sooner or later depending on the drug you can get addicted really easily. Scary thing about it is people are overdosing and getting out of control with them. In the long run, It can do some serious damage to your body also but not only that you start to rely on the drug. Makes you change appearance wise and health wise. i didnt know all of these facts but now knowing them, im definitly aware of the situation thats going on. Drugs have kept my friends from being the best they can be, from being in the MLB or losing a job over not being able to stay sober and its a hard thing to watch. “The whole family needs treatment, not just the one person because once a loved one goes into this dark side of life so does the family.” – Why does the family have to deal with the same incident from just one person? 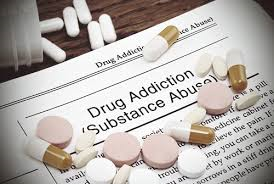 I completely agree that drug addiction has been abused and getting more common day by day which also can lead people to overdose and have several people pass away everyday.